We have changed the names of our Tire Cleaner Series to eliminate any confusion. 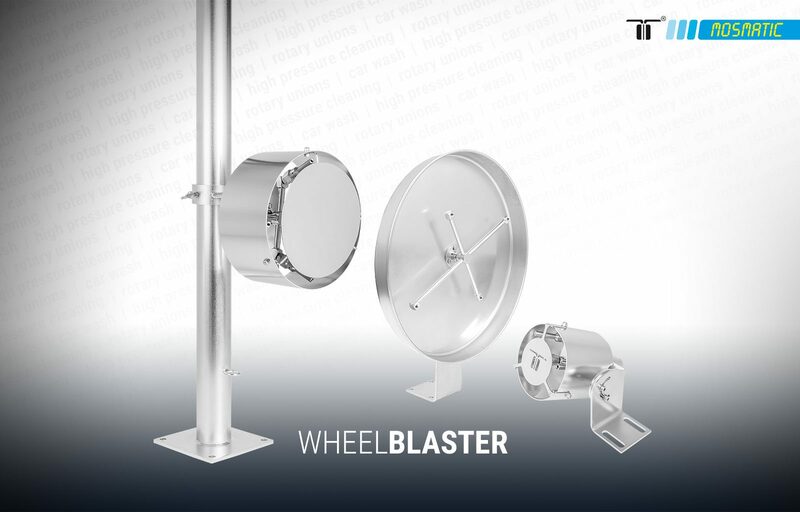 The standard Wheelblaster has a new product code WBL. The Wheelblaster, is used in the automatic car wash for rim, tire and rocker panel cleaning. The mobile versions new product code is WBP, Wheelblaster Pro. The Wheelblaster Pro, can be placed nearly anywhere you wish, has variable height and swing adjustments with the ability to add additional cleaning heads on the same stand. Did you know that Mosmatic engineered a compact Wheelblaster version as well? Wheelblaster Compact, WBC. The right solution for installation with limited space. If you have a specific application or any question, please contact us at sales@mosmatic.com or call us at +41 71 375 64 64.